Franklin High School's 'Blackwater Robotics' team won big at the FIRST Robotics Chesapeake district competition over the weekend. FRANKLIN, Va. — Congratulations are in order for students at Franklin High School. The school's "Blackwater Robotics" team won the top spot at the FIRST Robotics Chesapeake district competition over the weekend at George Mason University’s EagleBank Arena, where the top robotics teams from DC, Maryland, and Virginia faced off. That earns them a spot to take on competitors from around the world at the international championship in Detroit later this month. 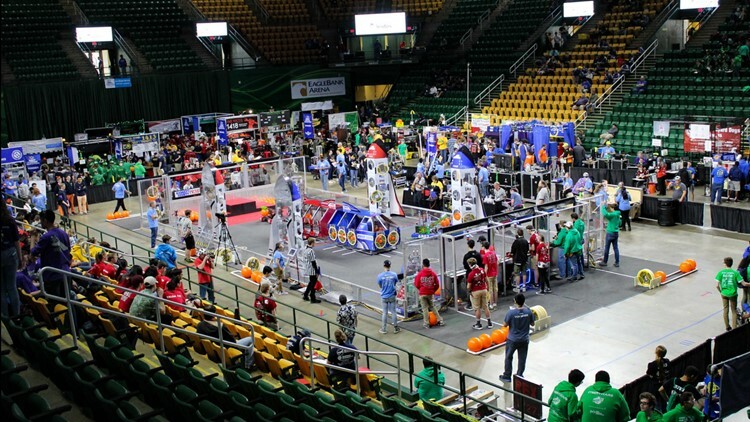 Robotics teams gather at the FIRST Chesapeake Championship at George Mason University’s EagleBank Arena.